The History of St. James the Apostle in Trumansburg, N.Y. The History of Holy Cross Church in Ovid, N.Y. The History of St. Francis Solanus Church in Interlaken, N.Y.
Our minds are often preoccupied with the things of this world, and we forget about the things of heaven. We live our lives as if what we see before us is all there is and almost place the truth of eternity on hold until it is absolutely necessary to confront it. We fail to see the connection between earth and heaven and to see the road of transformation we are all called to travel. When Jesus was transfigured before his disciples, they saw the truth of who he was. Earth and heaven were wed that day, just as they will one day come together for us. God desires to transfigure us as well, changing our earthly body into our heavenly one. We miss our true destiny if we don’t factor this into the choices we make and the paths we choose to walk. Interlaken Reformed church: Fridays, 3:00 p.m.-6:00 p.m.
Tuesday, March 19 is the feast day of St. Joseph, spouse of the Blessed Virgin Mary. St. Joseph is the patron of the Universal Church and patron of workers, carpenters, and fathers. He also has the title of Guardian of the Redeemer. A reminder for those who volunteered to help out in March and April at the Trumansburg Food Pantry: the dates are March 18, and April 1, 15, and 29. If you didn’t sign up but want to help out during these two months when our parish provides volunteers for the food distribution, feel free to join us. Details are on the bulletin boards at St. James. Thank you. Fridays of Lent are days of abstinence. Abstinence means that people over the age of 14 are obliged to abstain from eating meat on Fridays. Thursdays of Lent, at 6:00 p.m. at Holy Cross Church followed by a communal soup supper. Fridays of Lent at 3:30 p.m. at St. James followed by Benediction of the Blessed Sacrament and the opportunity to celebrate the Sacrament of Reconciliation. The Sacrament of Reconciliation (Confession) is available on Fridays, 6:30–7:00 p.m., at the St. Francis Solanus in Interlaken or by appointment with a priest. The sacrament will also be available at St. James the Apostle on the Fridays of Lent, after the Stations of the Cross and Benediction of the Blessed Sacrament (see above). The Center for Action and Contemplation offers daily mediations that have proved most helpful to thousands of people. Please go to https://cac.org or Meditations@cac.org. People wishing to have a Mass offered for whatever reason, may send in the request via phone, email, or U.S. mail to the parish office (see front of bulletin for contact information). It is important you clearly indicate the purpose for the Mass intention, the date and time desired, and the name of the person(s) making the request. Please include your phone number or e-mail so the request can be confirmed or to resolve any questions. It is also helpful to let us know if you desire a Mass intention card for you to give to the family or an individual. The suggested stipend (offering) for an announced Mass (meaning it will be published in the Sunday bulletin) is $10 which can be mailed to the parish office. You can also deposit it in the weekly collection, but you need to clearly indicate it is intended for a Mass stipend and for whom the Mass is requested. 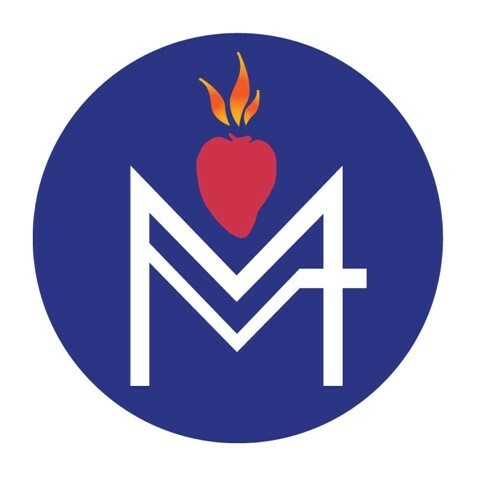 The Catholic Ministries Appeal (CMA) report of March 4, 2019, revealed that 105 parish households have pledged $26,972 toward our given parish goal of $29,979. Thank you. If you have not yet responded, please consider your financial participation. In the church vestibules there are CMA pledge envelopes and CMA has produced an extraordinary video in connection with this year’s appeal. It is posted to the CMA page at www.dor/org/cma. The movie Gosnell will be shown, with free admission, at St. Mary’s Church, 35 Center St., Waterloo, on Wednesday, March 27, at 1:00 p.m. and 6:30 p.m. The film is the shocking true story of the investigation and trial of Dr. Kermit Gosnell and his thirty-year abortion practice and the political and media establishment that tried to cover it up. It is rated PG13 and runs for 93 minutes. A discussion will follow for those who wish to participate. For more information contact Kathy Peters at 315-539-8006. The Interfaith Climate-Justice Action Network invites you to a presentation on a federal bill, called the Energy Innovation and Carbon Dividend Act, a bipartisan solution for climate change. The U.S. Catholic Bishops Conference has already praised the bill calling it a “hopeful sign that more and more climate change is beginning to be seen as a crucial moral issue.” Join us on Tuesday, March 19, from 7:00 p.m. until 8:30 p.m. (refreshments at 6:45 p.m.) at the Quaker Meeting House, 120 Third Street, Ithaca, to learn more. Peaceful prayer to end abortion continues at the vigil site across from Planned Parenthood, 620 W. Seneca Street, Ithaca. Consider selecting an hour or more per week as part of your Lenten offering. See more details at the website: www.40daysforlife.com/ithaca. For more information about the Ithaca vigil, contact Mary Anne Tissot at 315-246-7479 or Carolann Darling at 607-351-6668. “Like” us on Facebook at Ithaca 40 Days for Life. We currently have four two-person teams counting the offertory collections at St. James the Apostle but could use more people as substitutes. The counting is done after the 9:00 a.m. Mass on Sundays or Tuesdays and you need to be eighteen years old or older to be a counter. The commitment involves one hour of training and then counting four or five times per year. If you are interested, please contact either Ron Singer at 607-387-6577 or at singer.consulting@snet.net or Father Bernard Maloney at Fr.Bernard.Maloney@dor.org. St. James the Apostle is in need of additional volunteers to serve as ministers of hospitality/ ushers. It currently has two two-person teams and one substitute but it would be good to increase the ministry by at least four additional people. That would give the church four two-person teams and would allow each team to usher just once a month. We currently do not have any women involved in this ministry and would welcome their participation. You have to be 18 years old or older (men or women) to be an usher. If anyone is interested, please contact Ron Singer at 607-387-6577 or at singer.consulting@snet.net or Father Bernard Maloney at Fr.Bernard.Maloney@dor.org. The Sisters of St. Joseph have a prayer ministry and Sr. Dolores Bachman and Sr. Anne Marie Burns will be praying for our parish throughout 2019. Let us keep the sisters in our prayers as well. Many people who have suddenly lost a family member, friend, classmate or colleague find that sharing openly with fellow survivors about what they have lived through can help with the healing process. The Seneca County Suicide Prevention Coalition hosts twice-monthly support groups which meet in Waterloo and Ovid for convenience of the entire community. These groups are held on the first- and third- Monday of every month; and provide people who are survivors of loss or survivors of suicide the opportunity to talk in an open and inclusive environment, free of judgment or stigma. The Waterloo Public Library plays host on the first Monday of every month and the Ovid session takes place on the third Monday at the Ovid Federated Church. Both sessions run from 6:30 until 8:00 p.m. For more information see www.facebook.com/SenecaSuicidePrevention or contact Mary Joslyn at mjoslyn11@gmail.com. Pregnancy Care Center of the Finger Lakes, located at 551 Exchange St. in Geneva, is offering a “Forgiven and Set Free” post abortive ten-week session beginning October 4 until December 13. There is no cost involved. “If you regret your abortion, you are not alone. Let us help you learn to forgive yourself. Pleased join us for this healing ministry program.” For more information phone 315 789 0708. Cortland and Tompkins Counties offer free cancer screenings to those who are uninsured or have health insurance that does not cover these screenings. The screening services are provided in local health centers, doctors’ offices, and hospitals. For more information, contact CSP at 866 442 2262. There is a basket in the vestibule of St. James church for donations of toiletries. The request comes from Catholic Charities which is in need of items like shampoo, toothpaste, diapers etc. The items will be transferred to the Catholic Charities office in Ithaca. All the faithful, after they have been initiated into the Most Holy Eucharist, are bound by the obligation of receiving Communion at least once a year. The precept must be fulfilled during the Easter season unless it is fulfilled for a just cause at some other time during the year (Church Law #920). Saturday Vigil Mass at 5:00 p.m.
Sunday Mass at 9:00 a.m.
Sunday Mass at 10:30 a.m.
Holy Cross, 7231 Main Street, Ovid, N.Y.
St. Francis Solanus, 3660 Orchard St., Interlaken, N.Y.